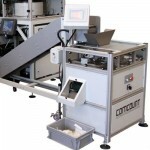 Comcount manufacture a comprehensive range of accessories specifically designed to work in conjunction with the Autobag range of bagging machines. The Maximiser, Accuscale and Workstations are generally employed in semi automatic hand load applications to provide the most efficient use of a single operator. 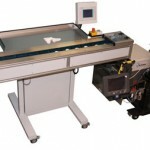 The inclined conveyors and checkweigher units can be incorporated into many applications to further enhance the efficiency of the Autobag system. Comcount is an accredited Automation partner of Automated Packaging Systems and all of these accessories interface directly to the Autobag machines without modifications. 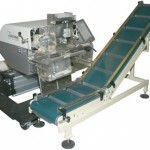 Range of inclined conveyors designed to remove filled bags from underneath the bagging machine and convey them to a bulk container or checkweigher unit. Operator workstations can be produced in a range of different configurations to allow an operator to work in the most comfortable and efficient manner. 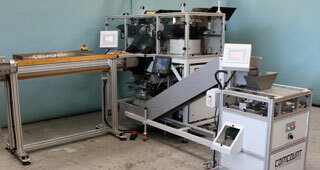 Indexing pocket conveyor designed to maximise efficiency of hand load applications. The pockets are manually filled and indexed at a pre-set rate into the bagger. 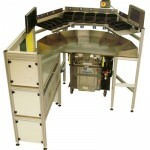 Operator workstation with integrated weigh/count scale. 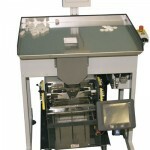 The weighpan is hand loaded and will drop and bag automatically when the pre-set count is achieved.